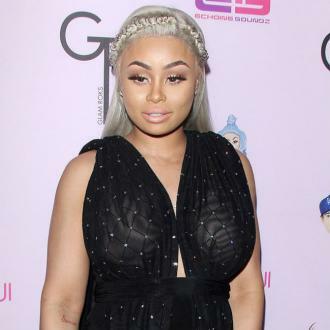 Blac Chyna insists there is ''no turning back'' for her and Rob Kardashian and after recent events, she thinks she's strong enough to cope with anything. Blac Chyna insists there is ''no turning back'' for her and Rob Kardashian. The 29-year-old reality star split from her 30-year-old fiance earlier this year and she admits she is ''glad'' their on/off romance is now over for good, though she wishes things hadn't ended with recent events, which saw her obtain a restraining order against the sock designer after he shared explicit photos of her and made a number of accusations on social media. But Chyna insists she isn't too upset over Rob's accusations she was unfaithful, took drugs, had him pay for cosmetic surgery and only had their daughter Dream, now eight months, to get back at former boyfriend Tyga, the father of her four-year-old son King Cairo, because she know the people who care about her know the truth. She told People magazine: ''When somebody that's actually been the closest to you says these things, other people are going to believe it. And the Lashed Cosmetics founder thinks coming through the online row proves she can deal with anything life throws at her. she said: ''I feel like God does certain things -- not to hurt you, but to show you your true strength. Chyna now just wants to focus on the future and raising her children. She said: ''I'm not going to take something that happened to me in the past into my future.